First published in Time Out Sydney on 11 Oct 2013. Maybe it’s what he wants me to think, but at first blush Tom Hiddleston seems nothing like Loki. For one thing, he’s just too damn nice: without his lank, black wig, lurid green cloak and golden helmet he’s just an unusually good-looking fellow, in a tidy casual suit and sporting stubble and short, sandy brown hair, welcoming me into a hotel suite overlooking Sydney harbour (“And honestly, what a view – and you get to live with it?”). 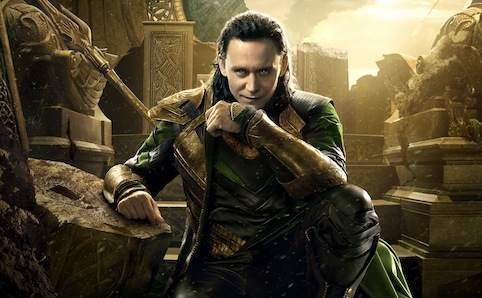 For another, Loki would definitely not have missed out on the opportunity to deck star Chris Hemsworth at some point during the filming of Thor: The Dark World, the forthcoming entry in Marvel’s sprawling superhero franchise and sequel to 2011’s Thor. It’d be payback, though – after all, Tom legendarily got a pasting from Chris during the filming of The Avengers. Of course, most of the filming didn’t involve falling onto volcanos – or, indeed, anything at all. In fact, most of the sets and props used in the film exist only inside the design team’s computers, which must provide a challenge for someone who grew up on the rather more physically tangible environment of the British stage. “Indeed. But when I was in drama school we had this amazing class in mime. The teacher was a very, very playful person. He’d ban notepads from the room – he’s say ‘write down what you want to forget, this is not about taking notes, this is about your imagination’ – and he’d make us do stuff, just like you’d see on Paris pavements. You know, with clowns pretending that it’s raining and then they’re walking down the street and taking their umbrella and shivering. And green screen is really no different: it’s about building the fiction of what you’re responding to in your imagination. Hold on: so this wasn’t filmed on location? Give me a minute. This is a shock. Next you’ll be saying The Wizard of Oz wasn’t filmed on location. Actually, maybe he is Loki after all.